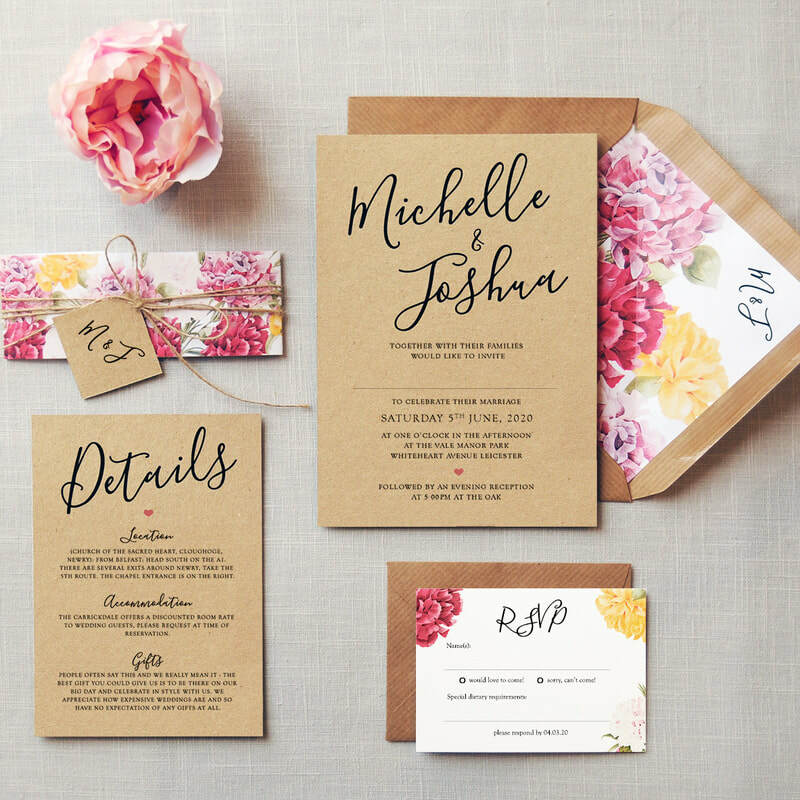 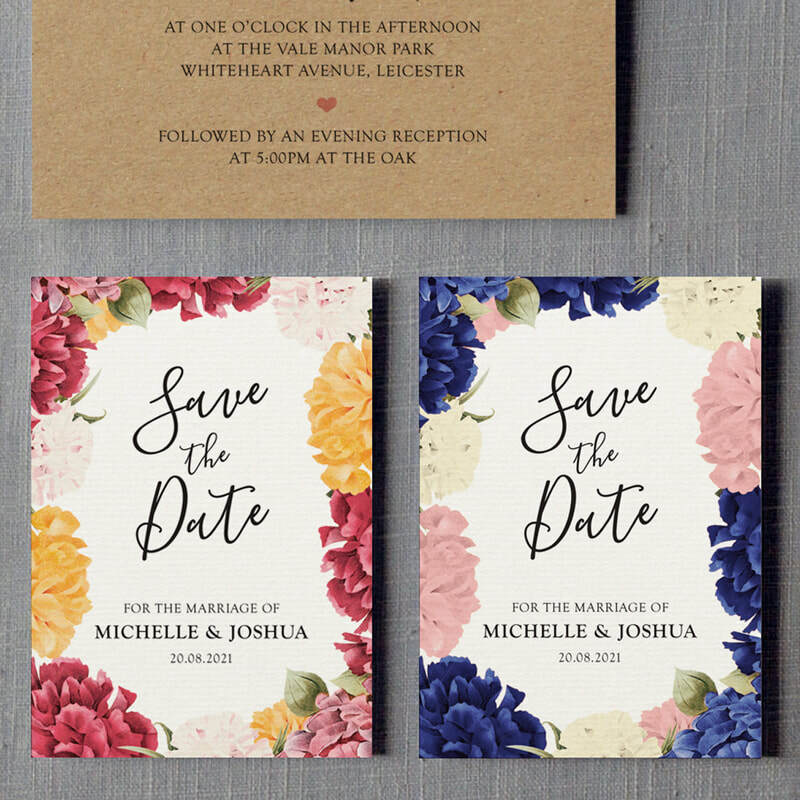 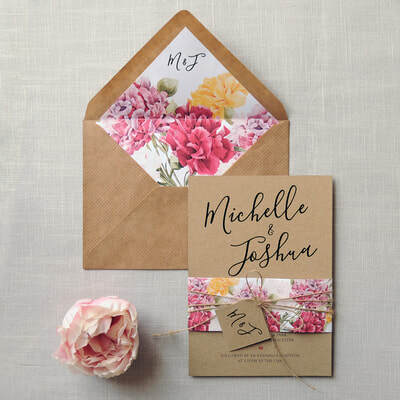 Rustic kraft card harmonised with florals on luxury textured paper. 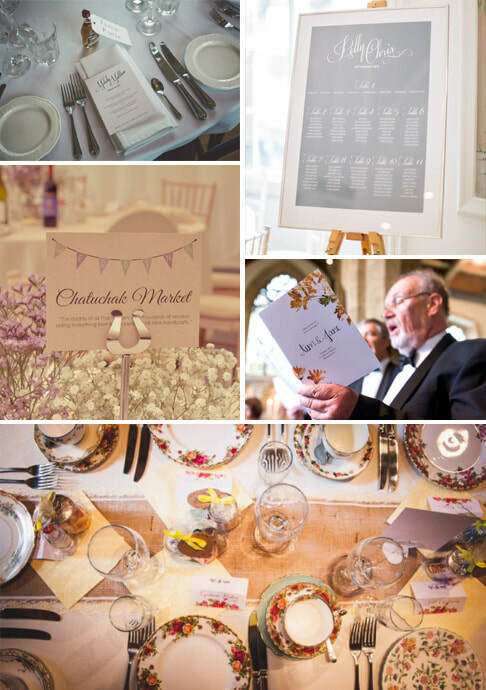 Featuring a personalised tag, rustic twine & gorgeous calligraphy script. 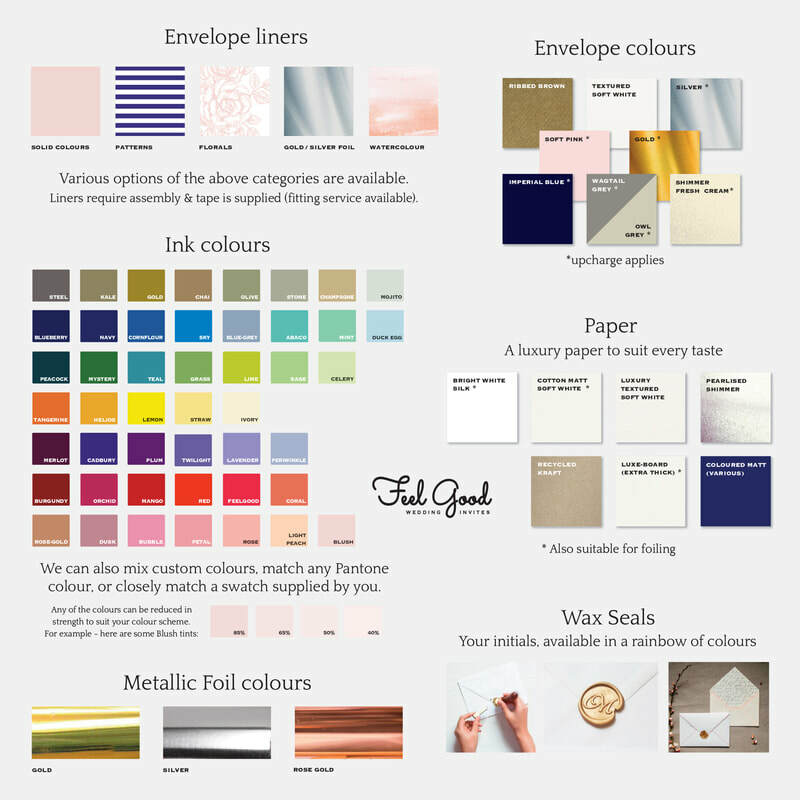 Flower colours can be customised to match your wedding theme.